Denis Leary in Animal Kingdom. 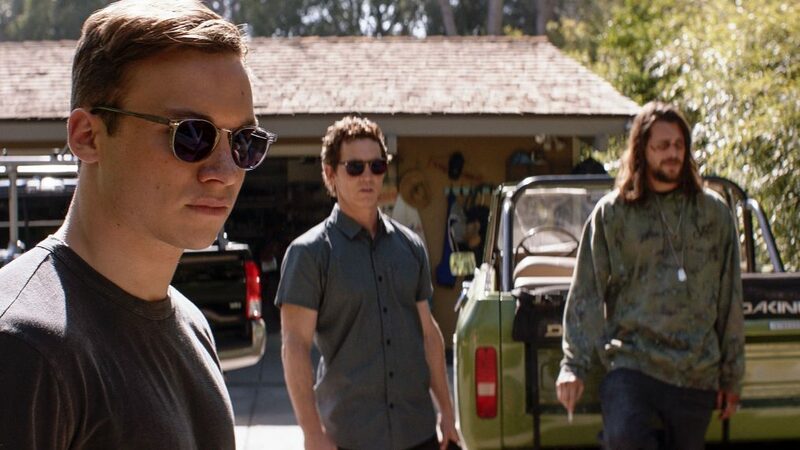 TNT's Animal Kingdom is the kind of show where the violence kicks in way before a tender heart-to-heart happens ... wait, does do heart-to-heart talks ever happen with the Codys on the just-renewed-for-Season 4 drama? Ever since the ornery Billy (Denis Leary) came to town to restart a relationship with his son, Deran (Jake Weary), he's been pushing everyone's buttons, and with jailed matriarch Smurf (Ellen Barkin) out of jail soon, fireworks are sure to go off. In this week's episode, "Incoming," Pope (Shawn Hatosy) and Craig (Ben Robson) are driving to pick up Deran and J (Finn Cole), and Billy comes along for the ride. Not. A. Good. Idea. As you'll see in this exclusive clip, the only thing that Billy loves more than shooting up (and maybe having some fun with a prostitute or two) is getting under someone's skin. This time, it's Pope's turn. Check out this clip and watch as Pope gets more and more irritated, and finally has to take some action.